← Good bye Yoga timecards…. On November 1, 2016 we retired our Yoga timecards and introduced Class Passes. When you attend a class you can pay drop-in, use a class pass (5, 10, or 20), or an unlimited membership. We are committed to making Yoga accessible and this adjustment will create ease when checking in for class. If you purchased a timecard before November 1st, 2016 and it has active minutes, the remaining time has been converted into 60 minute intervals so you get the best possible deal in our new per-class system. Simply scan your key tag when you come to class, and enjoy your practice! 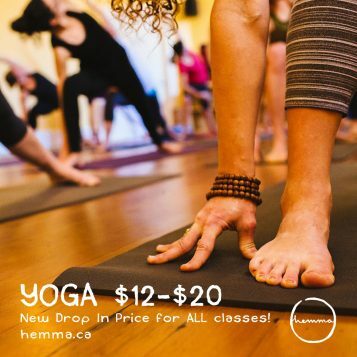 Our drop-in rate is now $12-$20 for ALL regular classes, regardless of length. You can attend a 60min, 75min, or 90min class and choose what you pay within that range. You can view the prices for the class passes here.